Suppose You Wake Up to Find There’s No Electricity, No Information Grid, and There’s No End in Sight. Do You Think The Government Will Help You? wildfires, terrorist attacks, disease, and wars. Or Other Natural Or Man-made Disasters?" Hi my name is Dennis Diaz. I'm the Chief Editor at Survival Ready Blog and I know first hand there’s nothing worse than the panic that comes from facing a disaster with no supplies, no plan, no survival skills and see your family suffer because of it. I grew up in a small town on the north coast of Puerto Rico and my parents were always ready, especially during storm and flooding season. I had a bug out bag before I had a bicycle. Back then, losing power and water for 3 to 4 weeks was not really a big deal. I Took It All For Granted…. Until one day mother nature came raging in and we almost lost everything. 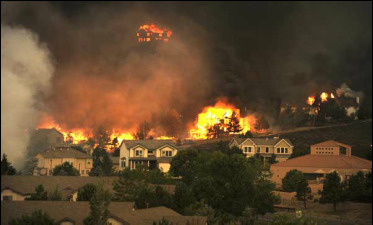 A few years back I lived just outside of Golden Colorado with my wife and our black lab, and a wildfire came within 1/2 mile from our house. We were evacuated and came very close to losing everything. The truth is that we were completely unprepared. We had to evacuate with nothing but our clothes. We were scared, but I was more ashamed than scared. I had failed my family. I had taken my preparedness for granted...I was complacent. From that day on I decide to go back to that preparedness mindset I was taught growing up and do everything in my power to protect my family and never feel that way ever again. Over the next few years I became obsessed. I would literally read every survival and prepping course, website, book or ebook I could get my hands on. Found a Bunch Of Crappy Ones!!! what you need to do and how to do it in small steps. ﻿I know that, for many people, the idea of preparing for an emergency or a long-term crisis can be very intimidating. …it’s overwhelming to consider the huge number of supplies you need or ever where to start. …it’s expensive to gather the necessary equipment. …you don’t know where to store your supplies in your home especially if the space is tight. …you don’t even know where to start. Believe me, I've done hundreds of hours worth of research and I know how overwhelming it can be. I also couldn't help it to be surprised by the HUGE amount of B.S., crappy info, put out there by self proclaimed “experts” that either push you to buy their gear and tools or send you in a wild goose-chase. I know there is a lot of preparedness information that can easily send you in 100 different direction. Almost every internet prepper “expert”expect you to put everything together on your own, but almost no one will give you a step by step plan and shows you exactly what you need to do. So, after hundreds of hours of research and putting everything I could to the test, I decided to develop a system that cuts through the crap and eliminates distractions by providing a step by step, easy to manage and to understand preparedness plan. Would you like to have a simple step by step blueprint to help you prepare for a disaster before it happens and finally be able to sleep soundly at night knowing that your family will have what it needs and be safe? 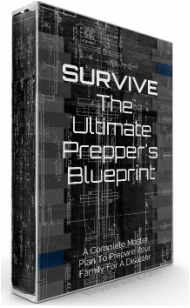 How is "SURVIVE: The Ultimate Prepper's Blueprint Different"? 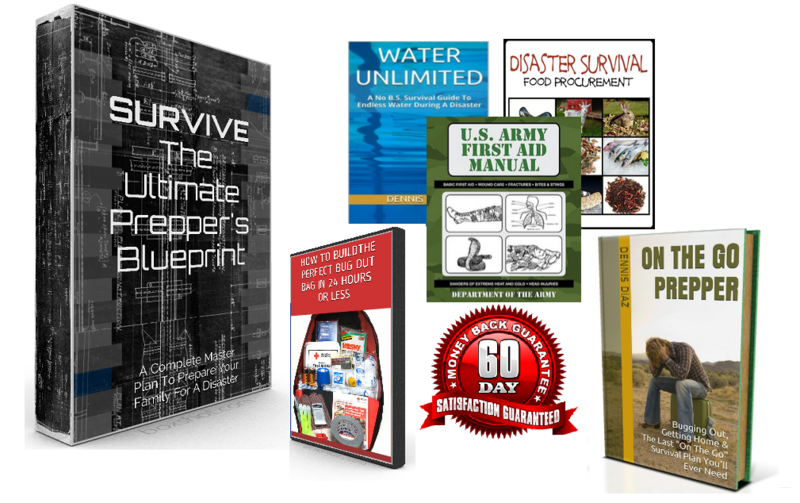 SURVIVE: The Ultimate Prepper's Blueprint is a digital course that gives you a done for you, step by step monthly plan, and tells you EXACTLY what you need to do to prepare yourself and your family for a disaster . If you follow everything in this step by step blueprint, to the letter, you’ll have most of what you need for a short crisis or a long-term survival situation. You’ll get specific instructions about what to purchase or collect, how much of it to store, and how to store it. With "SURVIVE: The Ultimate Prepper's Blueprint", you can tailor your timeline to suit your needs. If you stock up on everything listed for each month, you’ll have what you need in one year including a 72 hour emergency kit, one year of food storage, and supplies you need for shelter and security. But if that’s too much for your budget you can take it stages. You’ll still follow the same plan, but you can focus on one of these areas each year until you have everything you need. With this blueprint, you’re going to learn to change your mindset from one of panic and procrastination to one of strategy and preparation. Each month you’ll work on specific goals to motivate you and create an attitude of self-reliance. When you turn on the news you’ll feel more at peace knowing that you’re doing exactly what you need to do for your own safety and survival. 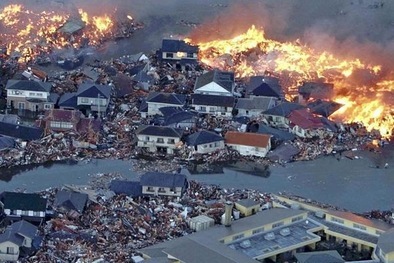 The latest concerns about global disaster come not from bombs that physically destroy property, but from Electromagnetic Pulse weapons, or EMPs, that can knock out the electrical and information grid permanently. Get the knowledge you need to create disaster plans and drills for your family! Learn the benefits of learning to garden and preserve your own food! Discover how to protect you and your family members from a disease epidemic! Do you continue turning a blind eye to the possibility of chaos and disaster – hoping that nothing happens or that if it does the government will save you? Or do you finally start taking steps to prepare so that you’re not dependent on anyone else to meet your needs or those of your family? I think it’s an easy choice. How Much Does "SURVIVE: The Ultimate Prepper's Blueprint Cost? After all the time and effort put into researching, & putting concepts to the test to create this course and how critical the information Is, most experts have said I should charge $300 or more for this information…. However… I’m Not Doing That. 5 Of My Favorites Products & Resources As Bonuses. 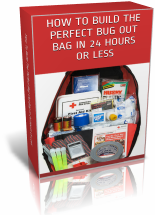 A step by step, multi media training, that will teach you how to put together a bug out bag that is tailored to you and your needs and how to do it very quickly. You can spend a small fortune on books that teach you every aspect of how to prepare for survival situations and disasters. That’s why I don’t want to make you go broke in order to help you learn to prepare for disaster. You’re going to pay a one-time fee of only $37 to get full access to the complete SURVIVE: The Ultimate Prepper's Blueprint – and you don’t even have to leave the comfort of your own home to get it. this course for the insanely low price of $37. I want to make absolutely sure this is completely risk free and that you are totally satisfied. So on top of the limited time discount and the $150 worth of bonuses, I'm going to offer you this. 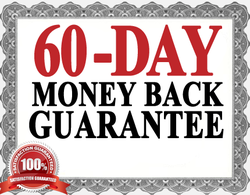 If you are not absolutely thrilled with everything you learn in "SURVIVE - The Ultimate Prepper's Blueprint" just send me an email in the first 60 days and I'll refund 100 of your money immediately. No questions asked, just send an email in the first 60 says and we'll refund all of your money right away. You can keep the bonuses as a thank you for trying my Course. Think about it: If you keep putting it off too long, one day you’ll turn on the news and it will be too late! There will be a natural disaster, an economic collapse, or a terrorist attack and you’ll have no resources to deal with it. P.S. Remember – you’re going to be getting a detailed plan that walks you through each step of stocking up on supplies, learning new skills, and developing self-reliance.